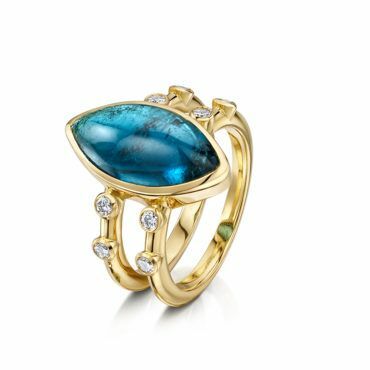 Rare Blue Tourmaline Cabochon set in 18ct yellow gold with diamonds. 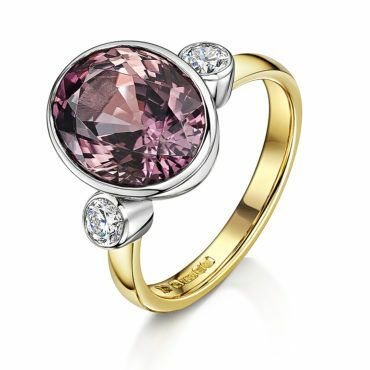 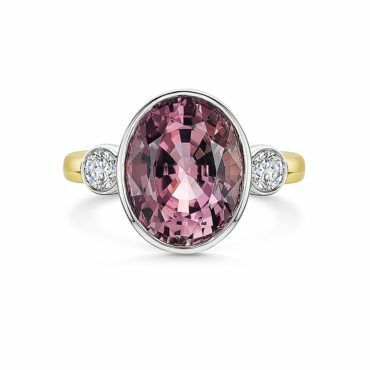 Stunning pink Tourmaline and Diamond Ring set in 18ct white and yellow gold ring. 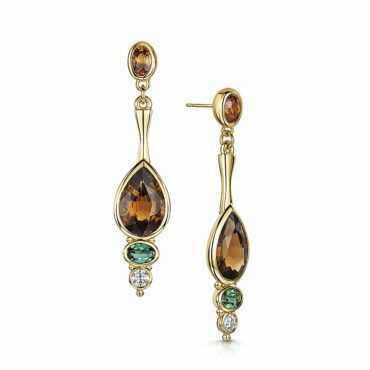 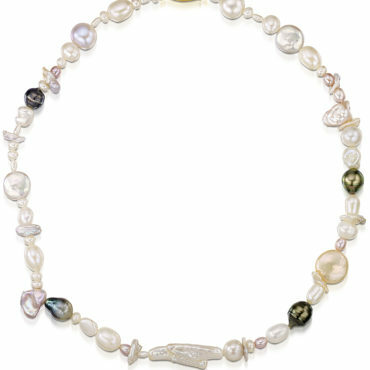 Very unusual Pear Shape Sherry Tourmalines with Green Tourmalines and Diamonds suspended from a Mandarin Garnet top.